Garden Court Mediation: flexible, high quality mediation service for all. "Informality is key to success"
We offer a flexible, high quality mediation service for all, from the initial inquiry through to the mediated settlement agreement. Our aim is to help you find a resolution to your dispute as quickly and effectively as possible in your circumstances. Litigating your dispute in court can be expensive, stressful and time consuming. Mediation is a widely used form of alternative dispute resolution which can be arranged quickly. It is very cost effective with settlement being reached in over 75% of our cases and feedback from parties is regularly that our mediators are ‘excellent’. 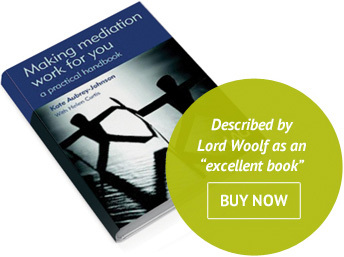 A dedicated website with information on mediation, FAQs and fees.